Complete Restoration with custom case finish. Custom designed case; color stained satin finish mahogany top and legs, contrasting with hand rubbed high polish jet black trim details, and matte solid body color. The color and subtle texture contrasts make this instrument an inviting instrument to enjoy visually. It will compliment a living room or chamber venue. The sound sparkles, with a tone which has little noise and plenty of sustain. Nicely balanced bass, tenor and treble registers. A comfortable sized sound which will not overwhelm a living space, and will blend beautifully when played in chamber ensembles. Bass and Tenor register create a fullness that one would only expect in a 6′ or larger instrument. This piano does not have the tubby tenor bass sound usually associated with small grands. As in all my pianos, this piano’s sound has been refined in my extensive tone regulation process. I maintain a stock of Vintage Pianos which are excellent candidates for fine restoration. 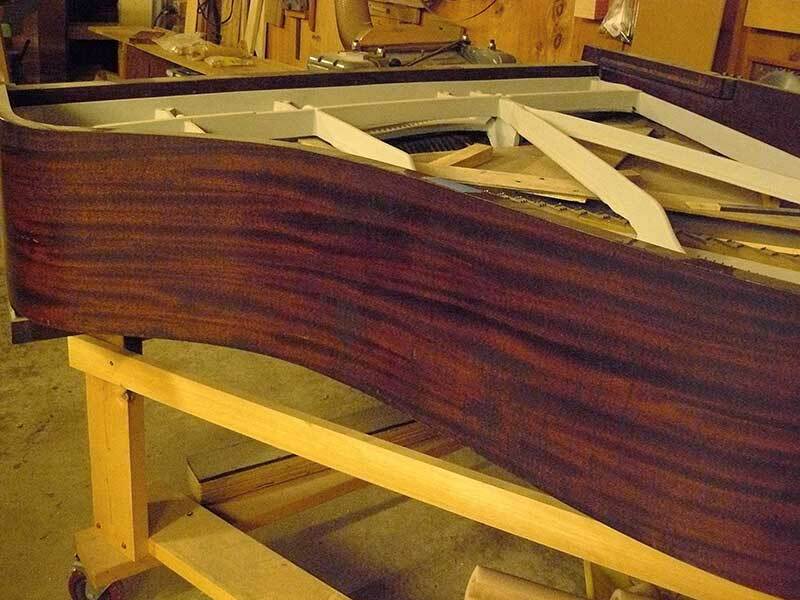 These pianos, when restored as one of my “signature” pianos, will provide a tier one artist level performance often at 1/3 to ½ the cost of a new tier one piano. Restoration prices are quoted on request. 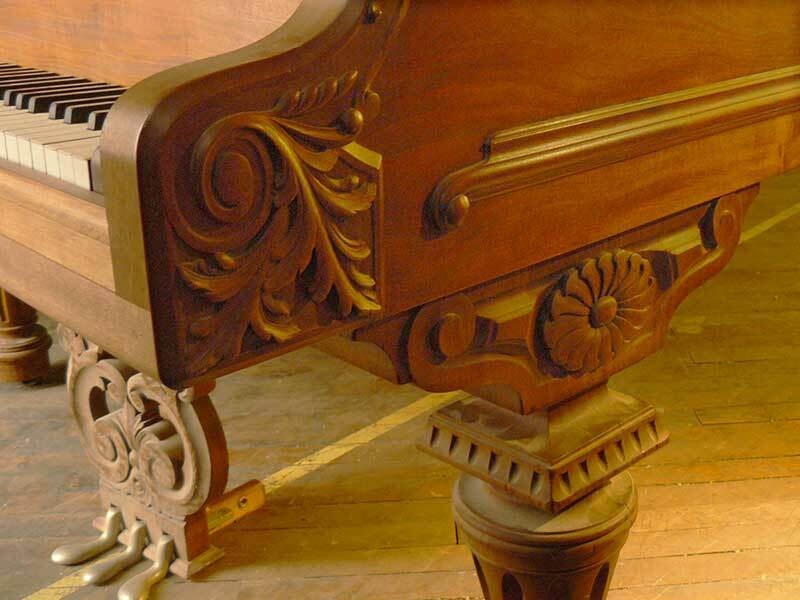 I can also obtain other vintage or suitable cores for restoration that are not listed here, so if you have a particular piano in mind, please inquire and I will locate that particular instrument as a core to re-manufacture. 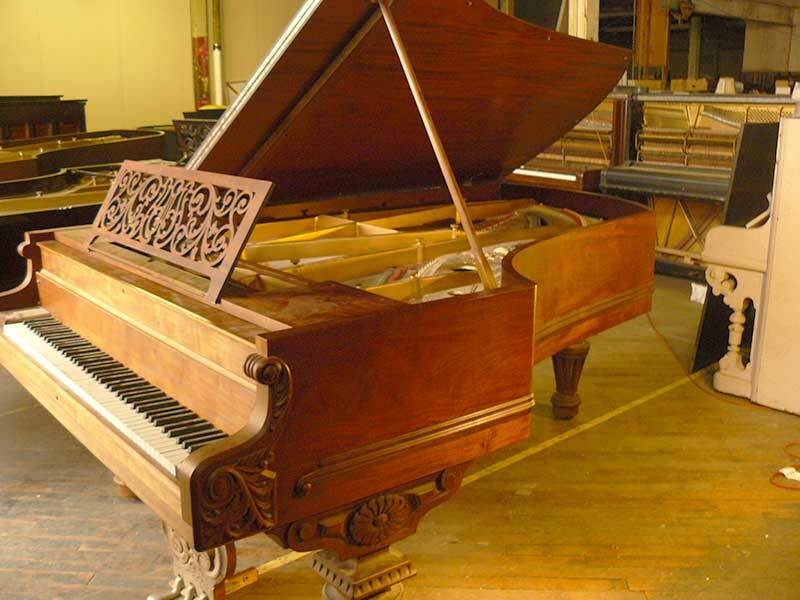 Offered for period appropriate restoration, or creation of a one-off signature Ialeggio piano. 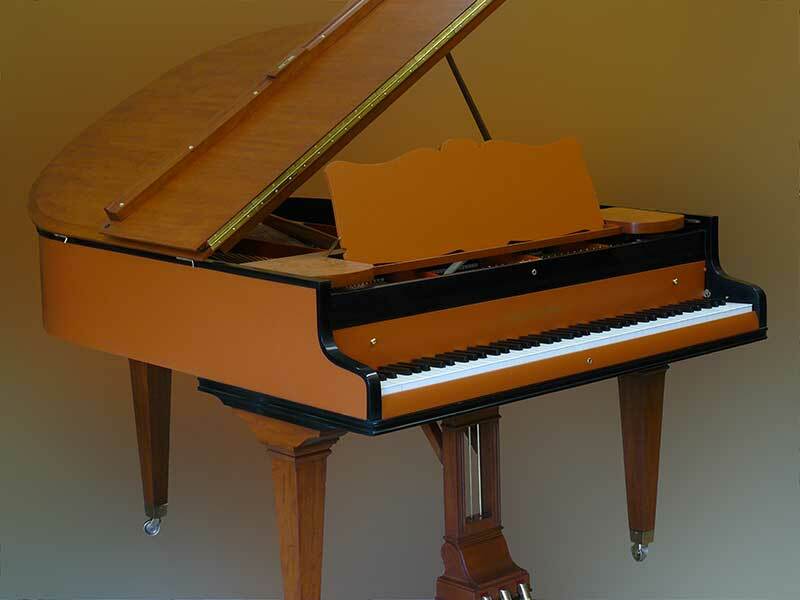 Rare Chickering Grand with superb tonal potential. The wide tail offers plenty of soundboard area for a superb, classic, full warm Chickering bass tone. Mahogany case recently refinished with open pore oil Finish. Finish is nice as is, or can be French polished to a period appropriate high gloss. The 123 scale Chickerings have the reputation of being one of the finest home pianos ever built. The design is both living room friendly, while offering the classic warm Chickering bass as well as very a smooth tenor/bass transition. As with most all Chickerings, the action is so well designed that when restored with appropriate hammers, it is fast, easy on the hands, and responsive… a real pleasure to play. This piano is very similar to the Steinway O. Scales of the Hume and Steinway were almost identical. Some say Hume copied Steinway. However, since Steinway was very slow in coming round to home sized, non-concert hall instruments, some feel Steinway copied the Hume. In any case, the structure of the instrument is substantial. This means it will be able to produce a controlled yet varied tonal palette at a full range of volumes ppp-fff.